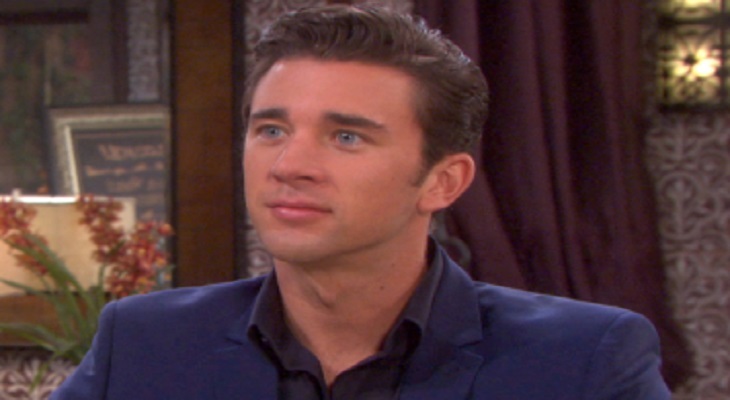 eDays of Our Lives spoilers tease that Chad DiMera (Billy Flynn) will take DiMera Enterprises out from under half-brother Stefan DiMera (Tyler Christopher) when Stefan’s in jail for treason. In a “CIN” story from ABC Soaps In Depth, it is revealed that after when Ciara Brady (Victoria Konefal) advises Ben Weston (Robert Scott Wilson) to reconsider the job he’s taken from Stefan, Ben goes to look for Stefan to quit, and finds Chad is the new CEO! It is unknown if “CIN” will remain parted or get back together at a later time, but since Chad was fired from Titan Industries recently by Victor Kiriakis, (John Aniston) having a job and possibly moving back into the DiMera mansion should certainly make it easier for Chad to provide a home for Thomas (Asher Morrissette). Chad’s hoping eventually for Abigail (Kate Mansi) and Charlotte (Chloe Teperman) as well. Days of Our Lives spoilers haven’t revealed whether Chad also moves into the mansion, but it’s possible. This will be the ultimate affront that Chad can deliver to his rival/step-brother Stefan! Now not only does Chad have Charlotte, he has DiMera Enterprises, quite possibly the mansion, and he’s working on getting Abigail back! Other Days of Our Lives spoilers tease that Chad will quite possibly make some progress towards that goal soon, with some spoilers saying Chad puts on a nice dinner for Abby and the family! It was just over a year ago that Vivian Alamain (Louise Sorel) showed up with her son by Stefano DiMera (Joseph Mascolo) Stefan who had bought the bank that that owned the mortgage to the mansion, making him owner of DiMera Enterprises by proxy. It would be a fitting Karma biteback for “Chabby” to reconcile as one of the great Days of Our Lives supercouples and Stefan having to look for a job and a house (if he’s not convicted)! Stay tuned to Days of Our Lives and keep checking Days of Our Lives spoilers frequently to see all the exciting developments ahead!